A closer look at the day's most notable stories with The National's Jonathon Gatehouse: Julian Assange is trying to force the Trump administration to confirm whether he is facing charges in the U.S.; anti-government protests in Venezuela; if you're not sleeping, it could be due to your daily habits. Julian Assange is trying to force the Trump administration to confirm if he is facing charges in the U.S. Hundreds of thousands of Venezuelans have answered the call of opposition leaders to take to the streets today in an effort to force President Nicolas Maduro from office. Not sleeping? It could be your daily habits. Missed The National last night? Watch it here. Julian Assange is trying to force the Trump administration to open up a "secret" court file and reveal if he is facing charges in the U.S.
Lawyers for the Wikileaks founder have filed a 1,172 page "urgent" submission with the Inter-American Commission on Human Rights (IACHR), a Washington, D.C.-based tribunal that monitors state abuses in the Americas. The 47-year-old Australian, who has been living inside the cramped confines of Ecuador's embassy in London since 2012, is trying short-circuit any attempt to extradite him to the United States. It is believed that he has been under investigation in Virginia since 2010, presumably in relation to his website's publication of hundreds of thousands of diplomatic and military cables about the wars in Iraq and Afghanistan, the prison at Guantanamo Bay and other sensitive topics. Last November, a federal prosecutor appeared to have mistakenly confirmed that criminal charges have been filed against Assange, but their exact nature has yet to be revealed. Robert Mueller's probe of Russian interference in the 2016 U.S. election has been looking into Wikileaks' role in disclosing hacked Democratic Party emails, and allegations of contact and possible coordination between the website and several high-ranking members of Trump's campaign. Today's filing claims that American authorities have been approaching people in the U.S., Germany and Iceland who have worked with Assange and offering them immunity from prosecution in exchange for their testimony about the cable leaks. 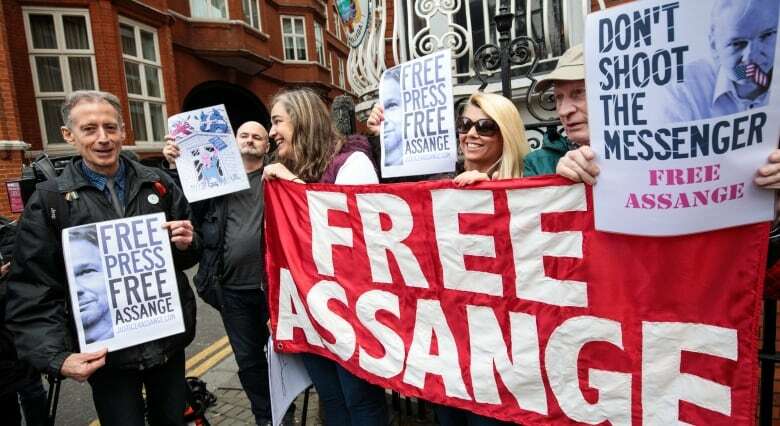 The submission also alleges that U.S. intelligence authorities have been working with their Ecuadorian counterparts to monitor Assange's electronic communications and his conversations with visitors to the London embassy. 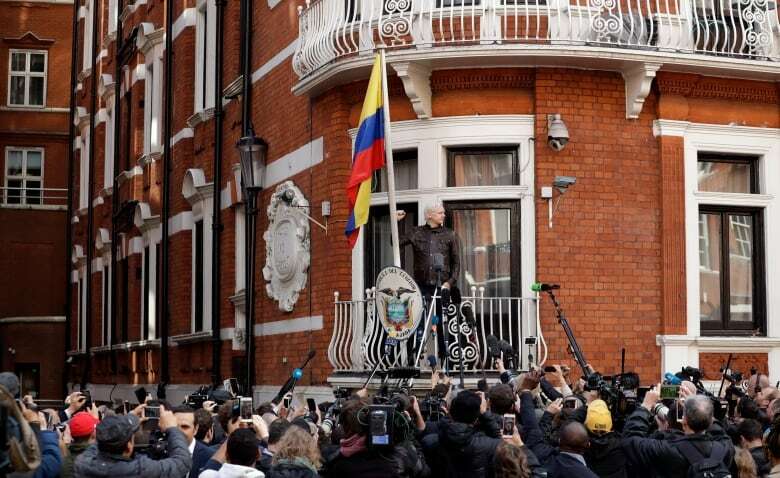 Assange was originally offered refuge in the diplomatic outpost as he sought to avoid extradition to Sweden for questioning in connection with a sexual assault investigation that has since been abandoned. But tensions with his host have grown over the past six years. Earlier this month, a commentator from a far-right U.S. website published an account of a visit with Assange. 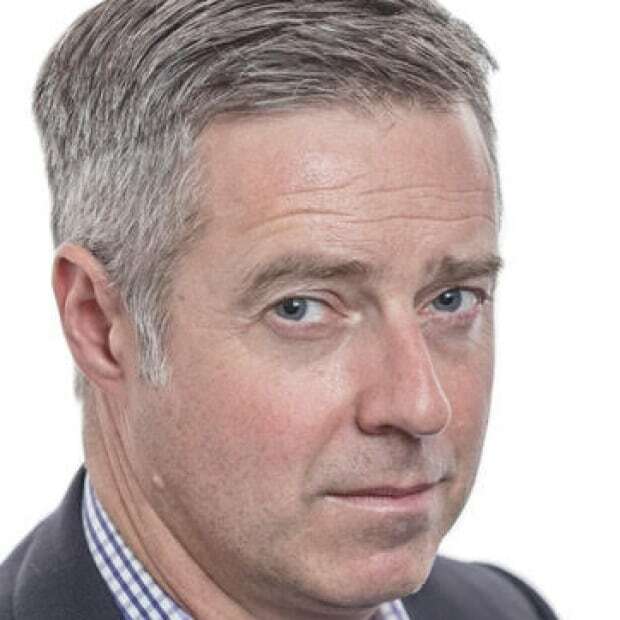 It claimed he is living in conditions "akin to a Stasi-era dissident," describing a "forest of menacingly Orwellian black cameras" and saying that they were forced to pass notes to avoid eavesdroppers. 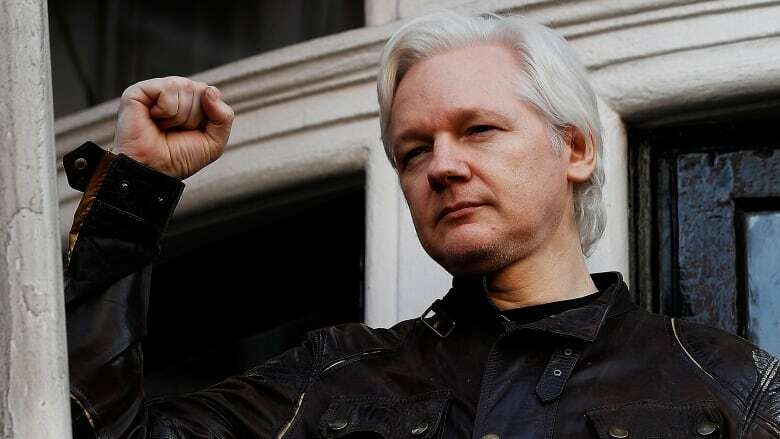 The Ecuadorian government has denied the substance of the report, along with claims that the heat has been turned off in Assange's room and that he is being forced to sleep on the floor. Assange and his backers remain sensitive about how the Wikileaks founder is portrayed in the media. In early January, several outlets were sent a 5,000-word email that advised reporters not to repeat 140 "false and defamatory" statements about Assange and the website. They ran the gamut from claims that he has ties to Russia, to reports that he bleaches his hair or suffers from poor personal hygiene. The document, which was labelled "Confidential legal communication. Not for publication," was promptly leaked. Hundreds of thousands of Venezuelans have answered the call of opposition leaders to take to the streets in an effort to force President Nicolas Maduro from office. At least four people have been killed in the day of protests, which coincides with the 61st anniversary of the fall of the country's military dictatorship. The police and army response has done little to dampen the demonstrations. Here is a view of the massive crowds in downtown Caracas. And protests are going on in other cities and towns across the country, as well. Here, a crowd gathers outside the cathedral in Baquisimeto, Venezuela's fourth-largest city, to express their defiance in song. And the size of the march in Barinas, in west-central Venezuela, also appears huge. The government put down an uprising by national guardsmen on Monday, but the opposition is urging the rest of the military to revolt and overthrow Maduro, who was sworn in for a second term earlier this month. More than a dozen countries, including Canada, say that the election was illegitimate. This afternoon, opposition leader Juan Guaido declared himself president and was promptly recognized as the country's interim leader by the Trump administration. How Maduro and his military backers will react remains the big question. Not sleeping? It could be your daily habits, writes producer Perlita Stroh. Canadians aren't getting as much sleep as we want, this much we know. In fact, almost 60 per cent of us say we aren't getting the recommended eight hours a night. The question is, why aren't we getting enough sleep? The answer, according to some health experts, has more to do with our own behaviour than we like to admit. "We are sometimes unrealistic when it comes to sleep," says Dr. Danielle Martin, a physician and vice-president at Women's College Hospital in Toronto. "We think we can act however we want during our days and expect our nights to be perfectly restful, and that's unrealistic." Martin points to things like drinking alcohol excessively, consuming too much caffeine, exercising late into the night, and using electronics right before bed as some of the reasons we aren't getting enough sleep. Experts agree that creating healthy "sleep hygiene," a consistent sleep routine, goes a long way towards helping with the problem. "Simple things, like keeping a dark room and a comfortable temperature in your bedroom, can help so much with sleep," says Dr. Samir Sinha, with Sinai Health Services and University Health Network. Another thing doctors are now urging is that all Canadians, and particularly seniors, steer clear of prescription and over-the-counter sleeping pills. They say the risks associated with their use outweigh the benefits. Plus, the fact that they keep a person sedated long after they wake up in the morning can be dangerous. In a special discussion on The National tonight, doctors Martin and Sinha will join Dr. Shelly Weiss, neurologist and sleep specialist at The Hospital for Sick Children, to talk about sleep and how we can get more of it. A Hall pass for a late, great Blue Jay. "I know this has angered China, but we have a system of extradition treaty, a system of rules of law, which are above the government. The government cannot change these things, and as I said, I think Ms. Meng has quite a strong case." 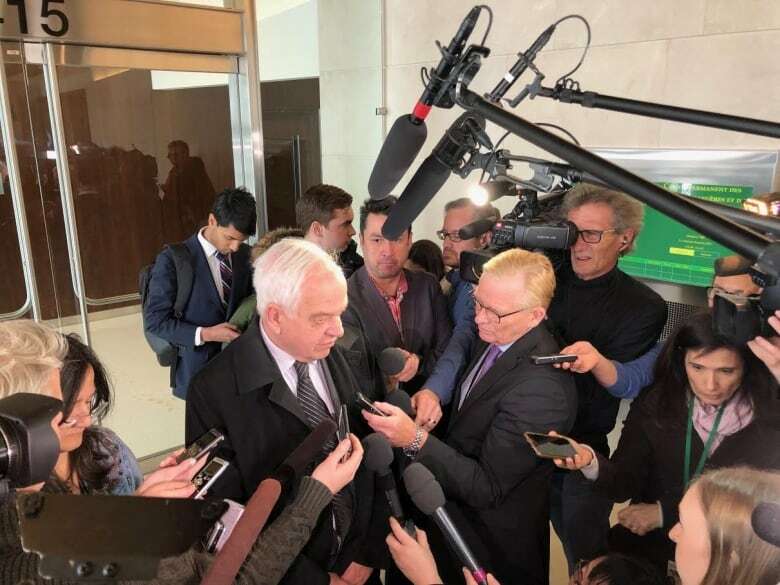 - John McCallum, Canada's ambassador to China, expresses some regret about the Meng Wanzhou case in an interview with Chinese-language media. Paul Martin worked tirelessly for nearly two decades to become prime minister. But his time in office was comparatively brief — two years and 56 days. 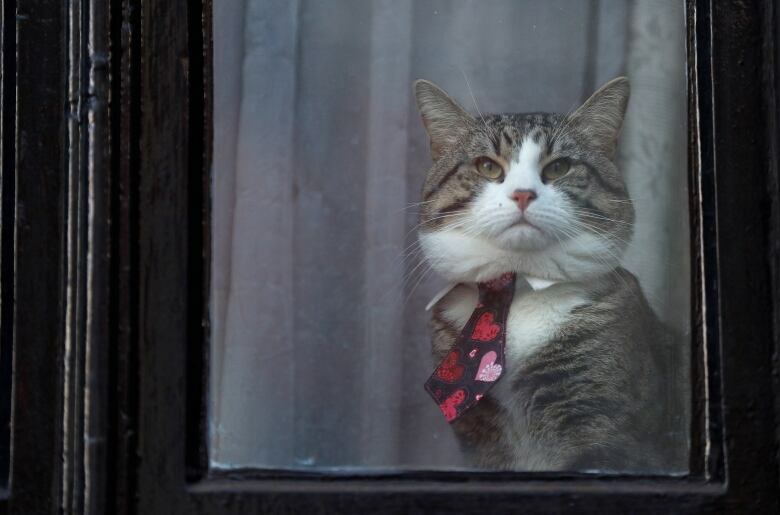 Here, on the night he lost to Stephen Harper's Conservatives, the Liberal leader reflects on his time in public life and announces that he's ready to move on.